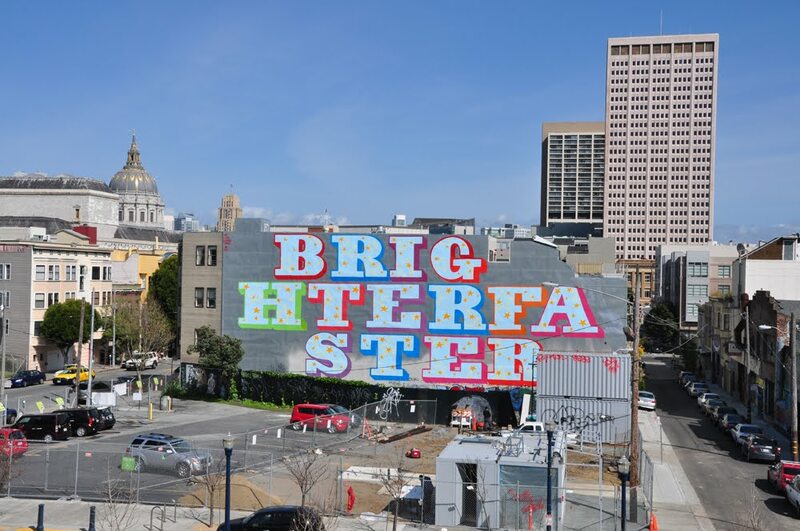 It looks like UK artist Ben Eine has been taking over the walls of San Francisco ahead of his 'Greatest' solo show at the White Walls Gallery, which opens tomorrow night 12 March 2011. 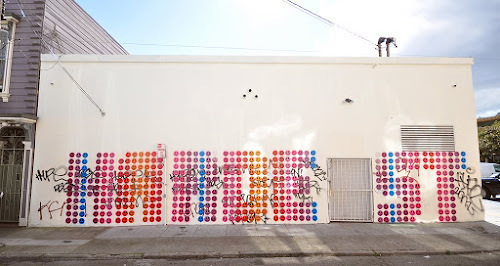 Since landing in the US, Eine has been painting non stop having already painting the entire alphabet – letter by letter on the cities shutters. The last few weeks has also seen Eine working on some huge typographic pieces also out in the San Francisco streets, the scale of which can be seen in the above clip of the artist working on 'We Rock Hardest'. White Walls managed to get Eine to put his cans down long enough for them to conduct this short interview with the artist over on their blog. 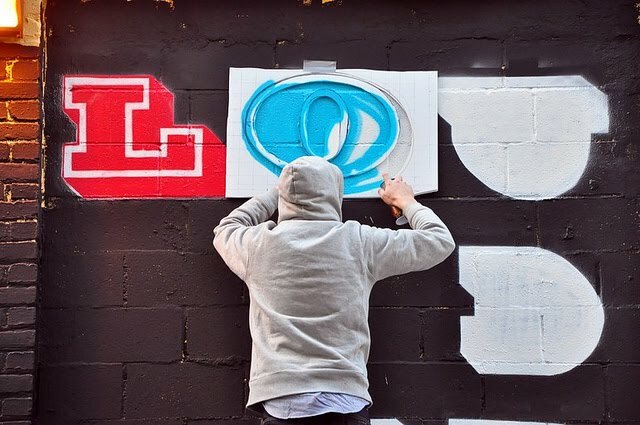 We look forward to seeing more images from the exhibition as well as some of the huge street pieces he has been working on. If you are in San Francisco tomorrow get yourself over to the White Walls Gallery and check the show. 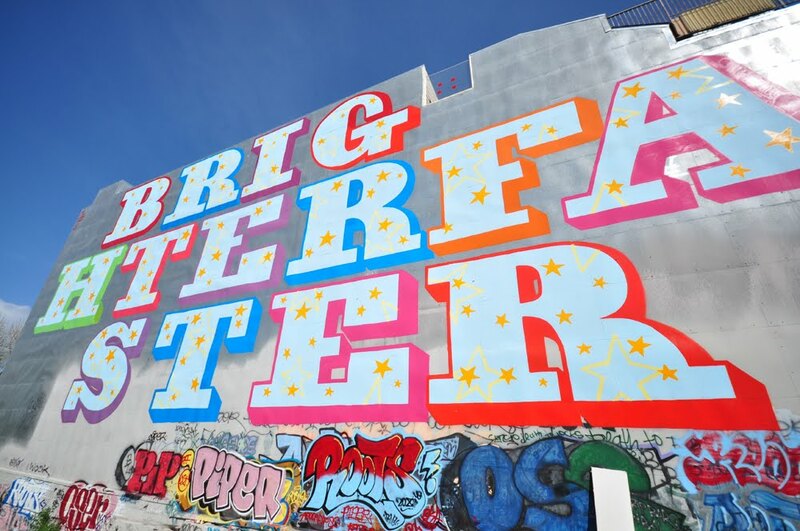 We have just received these new photos of another massive wall Eine has just finished in San Francisco.